As my regular readers know, I’ve been pretty lukewarm about Series 7 of Doctor Who, and particularly underwhelmed with this back-half of the season. One of the few bright spots for me, however, was “The Rings of Akhaten,” written by novelist and Luther creator Neil Cross. From what I gather, I liked “Akhaten” considerably more than a lot of people did, and I fully admit that there were elements of its plot that made little sense. But an illogical plot is the easiest thing for me to forgive in any episode that otherwise provides, as this one did, some fantastic ideas, excellent characterization, a remarkable (and—for this show—increasingly rare) control of pacing, and some real emotional depth. 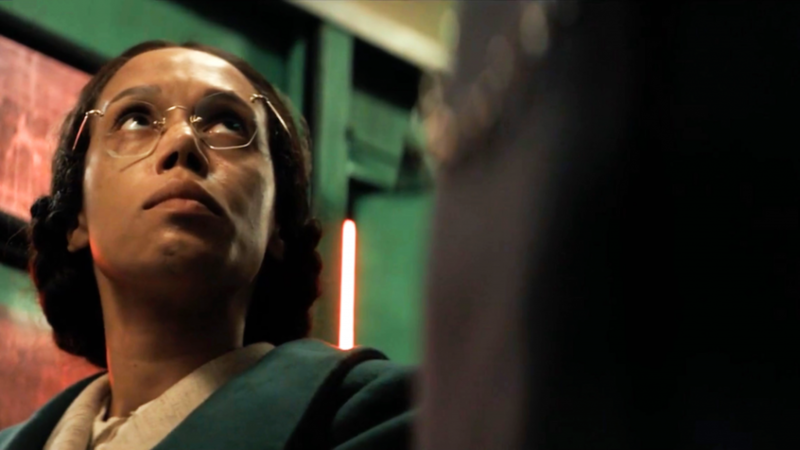 It wasn’t a slam-dunk, but I was excited to see more from Cross, who seemed to have a strong vision that beautifully melded classic Doctor Who elements with 21st century sensibilities. 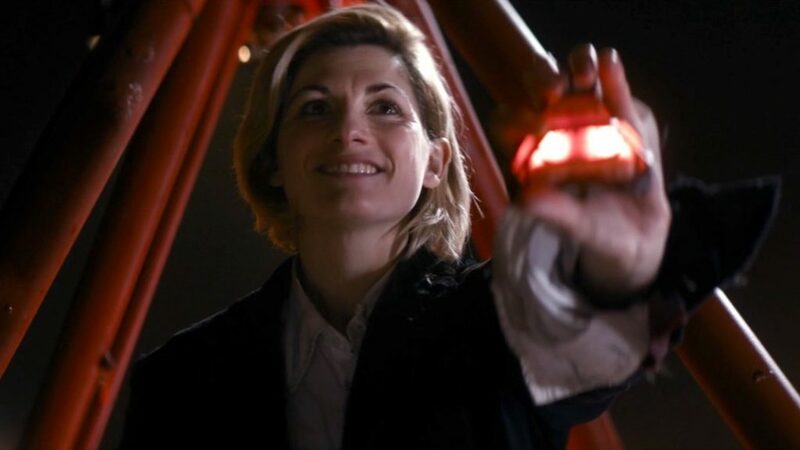 And the promise glimpsed in “Akhaten” is more than fulfilled in his latest episode: “Hide” is not just the best entry in Series 7 so far; it’s also a perfect example of how classic Who can be updated for modern times. There have been many better hours of television in new Who, to be sure, like everyone’s favorite “Blink.” But it would be hard to argue that “Blink” feels much like classic Doctor Who. “Hide,” on the other hand, is more or less exactly what I hoped for—way back in 2005—when I heard that Doctor Who was coming back. If this was the first Doctor Who of the modern era, I think everyone would be saying, Yes, thank god, they got it right. “Hide” would feel right at home among such classics. (I doubt that it’s a coincidence that “Hide” takes place in 1974, which was the first year Philip Hinchcliffe joined Doctor Who, ushering in the gothic era.) 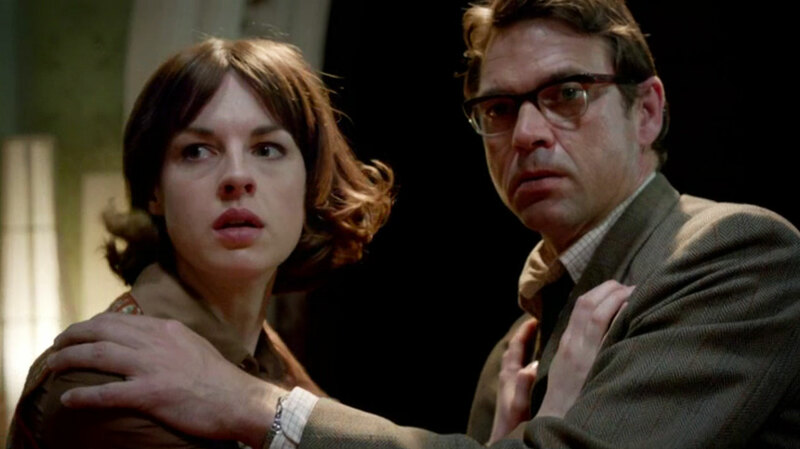 Arriving at remote Caliburn House, the Doctor (Matt Smith) and Clara (Jenna-Louise Coleman) have come—or so the Doctor claims—to do a little ghost-hunting, joining psychologist (and war hero) Professor Palmer (Dougray Scott) and his “assistant,” empathic psychic Emma Grayling (Jessica Raine). They’re all there to uncover the mystery of the Caliburn Ghast, a spectral screaming woman who has been glimpsed on the property for centuries. If it were only an homage to—or even a skillful plagiarization of—The Haunting of Hill House—“Hide” would still be worth the price of admission, but the connection—and intention— goes a little deeper than that. For at its core, Jackson’s story (though terrifying) is not really a horror novel, but a story of loneliness and repressed longing. (I can’t possibly attempt to summarize The Haunting here, so take my word for it, or—if you’re really interested—you can read my take here.) The point is, “Hide” is also about repressed longing and loneliness, in ways that turn out to be both obvious and surprising. One of the things classic Who was better at than modern Who—mostly because they had more time, since almost every story was at least four episodes (or 100 minutes) long—is the development of supporting characters. Last week’s disappointing episode, “Cold War,” was a good example of how the current show often neglects this element: the characters on the Soviet submarine were largely not characters at all, just types, without even an attempt to flesh them out; the one exception—David Warner’s character—was mostly just a collection of quirks standing in for a personality. Here, however—though forced to do so relatively quickly—Cross makes Professor Palmer and Emma feel like real people, with a sweet and believable relationship. There is an unacknowledged attraction between them, of course, but where other writers would have found that storyline sufficient to generate human interest in our guest stars, Cross makes them each interesting apart from this: we are given glimpses of the loneliness that comes with Emma’s empathic abilities, and of Palmer’s deep trauma and survivor’s guilt from his wartime experiences. It’s accomplished very efficiently, but this extra effort to write rounded characters (aided by strong, mature performances from both guest stars) makes us more invested in both the ghost story and the love story. These are two damaged, lonely people reaching out to one another, as if from beyond the grave. This, of course, resonates with the Doctor. One of the best ideas Russell T. Davies had when he brought back Doctor Who in 2005 was to make the Doctor the last member of his race, and deepen his character with memories and trauma and survivor’s guilt from the “Time War.” Old-school Who fans who sometimes complain that the modern Doctor does not always act much like the classic Doctor should remember that he is not the same man he was in regenerations 1–8: he has been altered by the things he has seen, the things he has done. It has made him harder in some ways, and softer (and lonelier) in others. This entire conversation has a marvelous double-meaning—because, of course, Clara is more right than she knows. 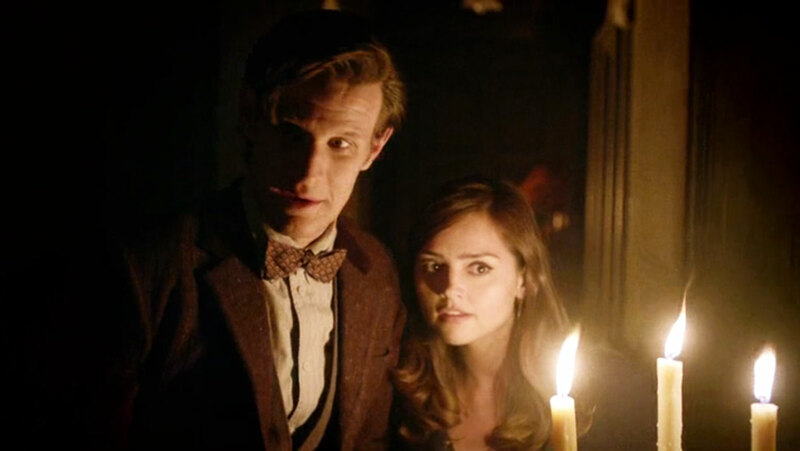 The Doctor has watched Clara die twice already, and so, in a way, she is a ghost to him, and he did come here seeking to investigate her mystery. And so his answer to her—“No, you’re the only mystery worth solving”—is both direct and symbolic. He does mean her—Clara herself, her mystery—but he is also answering her question about what humans are to him: they are the mystery, the one unsolvable riddle in his life, and the thing he needs to keep him going. 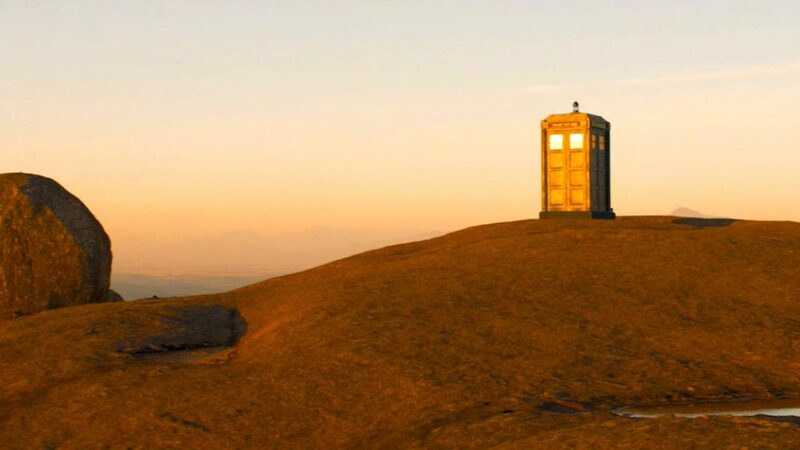 Especially since the Time War—when he became so immersed in the other thing—his companions, and humans in general, represent life to him, the only thing that brings him back, again and again, from the dead. Whether you call it romance, companionship, or simple curiosity about people, he has a need to fall in love, over and over and over again. Because, in the end, that’s really all there is to live for. “Everything ends,” Clara says, but Emma corrects her: “No, not everything. Not love. Not always.” Another sticking point about the new series for many fans of classic Who is the increased emphasis on romance, especially between the Doctor and his companions. To them I say two things. First: that apart from a few regrettable moments—*cough*half-human-Doctor-and-Rose*cough*—the show has actually been pretty restrained on this point. (It is so easy to imagine a modern version of this show going so far down that road, as the 1996 TV movie seemed prepared to do.) The second thing I would say, however, is this: it was always about love. It may not have been overtly romantic in the classic series, and it may not have ever been overtly sexual, but give me a break: go back and watch the way Sarah Jane (Elisabeth Sladen) looks at the Fourth Doctor; watch the Third Doctor (John Pertwee) walk away from Jo Grant (Katy Manning), and tell me his heart isn’t breaking; watch the Fourth Doctor and Romana II (Tom Baker’s then new-wife Lalla Ward) gallivanting around Paris together, and tell me Doctor Who wasn’t always about love. “Birds do it, bees do it, and even educated fleas do it,” the Doctor says here, quoting Cole Porter, and of course he’s right: “Every lonely monster needs a companion.” He’s talking about himself, he’s talking about the professor, and, in one final twist, he’s talking about the horrible-looking creature (called “The Crooked Man,” according to the IMDB page for this episode) dwelling within the echo universe. It turns out that it, too, was just another lonely monster looking for companionship, following a thin light of hope back to land of the living. It turns out that there are no ghosts or monsters at all: just longing, and loneliness, and lovers calling to one another in the darkness. With a long enough perspective on life, everyone dies, and everything ends, and we’re all just ghosts drifting through time. But it also turns out that, as long as lonely souls can find one another, there’s really nothing to fear in the dark at all. It was never a ghost story: it was a love story all along. 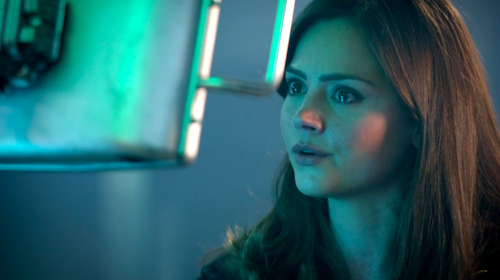 Although, to be fair to Clara’s paranoia, there does seem to be something a little bitchy about the TARDIS’s attitude: “I am programmed to select an image of a person you esteem,” the TARDIS says, showing Clara a projection of herself. “Of several billion such images in my database, this one best meets the criterion.” Meow! Doctor: To find the ghost? Clara: Why would I want to do that? Doctor: Because you want to. Clara: I dispute that assertion. And I liked the resolution of this dispute: “Dare me,” Clara says. “I dare you. No takesy-backsies,” the Doctor replies. My theory about Clara is a work in progress, but I bet the end of this season will reveal more parallels in this episode than we recognize now: I strongly suspect that “ghost” Hila and “ghost” Clara may have a few things in common. I don’t read other reviews until after I write my own: I was surprised more people didn’t like “The Rings of Akhaten,” and shocked—shocked—at how most critics seemed to like “Cold War.” If people didn’t like this one, I may have to turn in my credentials. With regard to your final point, I couldn’t agree more. ‘Rings’ was objectively so much better than ‘Cold War’, and seeing so many opinions to the contrary left me scratching my head in disbelief. ‘Hide’ has earned a place in my top five episodes since the revival, alongside ‘Dalek’, ‘Midnight’, ‘The Doctor’s Wife’ and ‘Blink’. AJS, I’m glad it’s not just me: I’ve been catching up with reviews and podcasts, and I feel like they all watched different episodes than I did. I am very happy that the seventh series finally got an episode that I think is of quality. 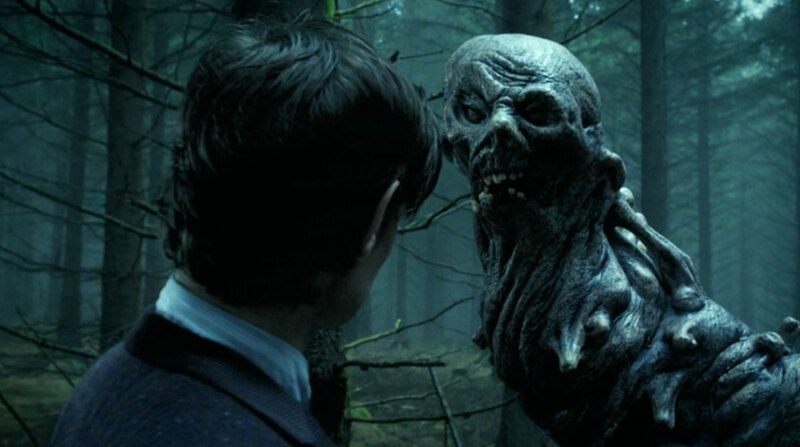 I do love scary episodes of Doctor Who, however I don’t think Hide can outmatch Midnight or Blink or the Silence in its initial scariness, in fact I don’t find this one scary, rather, I find this one beautiful. 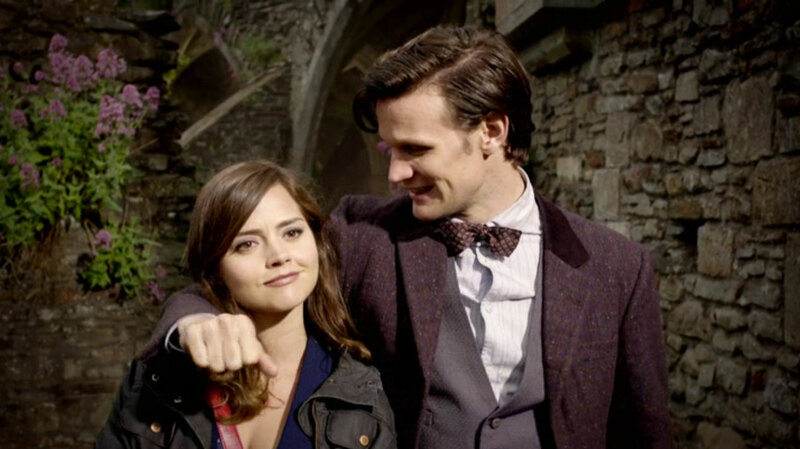 I agree with you that for an episode to be good, making audience connected with the characters is very important, and this one have all the emotions for both Professor Palmer and Emma, and also our Doctor and Clara. It need to make them “real” enough for me to care about what will happen to them. In fact I really do love episodes which have a whole story for the “minor” characters, or centric around one or two minor characters, such as Blink, Vincent, Christmas Carol… but not a whole bunch of characters. But of course, it needs a good story and good mood building first, and Hide do make it.